Hey there, big fan here! I have a couple questions for you. I live in Tennessee and we have fir, cedar, pine and sugar maples. We extract maple sap and make syrups. I have collected very very small amounts of pine resin compared to the 4lb bags of pinon resin i buy from out west. I was wondering what your suggestion would be for 1) extracting saps and resins from my cedars and pines that have no visible sap/resin. I have read about the V shaped exterior carving and am not into it/ tried it once to no luck. I tried tapping the Cedar the same way i did the sugar maple and nothing. I have tried boiling pine needles and branches with the lid upside down and a collecting bowl on a brick etc. 2) any ideas for perserving all of my sugar maple sap before the big boil? I have a few glass collecting containers and it gets a thick mucousy membrane feel after a week or two of sitting there and smells rotten. Regarding your maple sap spoiling, I don’t have any experience with it but my first thought is sterilizing your collection system and the containers you store it in. Number two would be storing it outside where it is still cold and will retard bacterial growth in the sap until you boil it. Regarding the conifers, the oleoresins we collect from pine species are secondary metabolites. There is a system of resin ducts under the surface of the bark that responds to injury by producing different types of resin products to protect and heal intrusions. Cedar trees do not have this network and won’t yield any sap after injury. Depending on the type of Pine and the area it is growing in, you may or may not get production of sap from a surface injury. The most common source of Cedar, pine and Fir essential oils are needles and twigs. You need to set up a proper distillation train to collect the essential oils. A pot, a condenser to cool the steam to liquid and a vessel to collect the distillate in. Once you have set this up you will easily be able to collect essential oils from your Cedar, Pine and Fir trees. Hi Joe. Strange, I was just thinking about building a ceramic still after seeing photos in the Artisan Essential oil distillers FB group. I got the impression it was someone in South America that posted them…. I haven’t distilled mango or Neem, though I recently saw a post where someone was pleasantly surprised by the quality of the Essential oil they distilled from mango fruit pulp after juicing. I can likely dig it up if you haven’t seen it. I know some distillers will mulch twigs and small branches before distilling them. Some will soak the material for a day in the pot to increase the eo yield. I am leaning more and more towards hydro distillation of most plant materials. Especially if you are not working with high temperature and high pressure steam. Personally, I would add the mulched material directly to the water. If you are not a member of the artisan essential oil distillers group on Facebook I highly recommend you join. This article is so interesting for me right now. I’ve had trouble finding someone with the know how and passion to produce oils from conifers. I live in Newfoundland, Canada and have a forest of balsam fir that is deemed agricultural. I will clear a plot for some cropland and a greenhouse but the more use I can find for the gifts that are readily available the less I have to worry about clearing more forest. I am curios to know the schematics of how I can best extract the products at a commercial scale. What type of still and does the wood/twigs need to be finely chopped in order to best extract the oil. I did a small scale experiment yesterday at the university and we steamed a sample but never found any essential oils. Is there a particular temperature the steam needed to be? I believe the product we got from it is hydrosol. It smells so good! What are the best markets for this product do you think? I apologize for the delay responding! My best advice to you is to join the Facebook group by the name of “Artisan Essential Oil Distillers”. You will find professional artisan distillers who already work commercially with conifers as well as novices and beginners. It is a great place to connect with the people you need and to share your own knowledge and experience. Here is a link for your convenience. i want to find out is it possible to extract combustion fuel from resin of pines trees,if possible what method can i use. Hi George. I apologize for the delay responding to your comment. I am in Madagascar at the moment. Internet is a challenge. 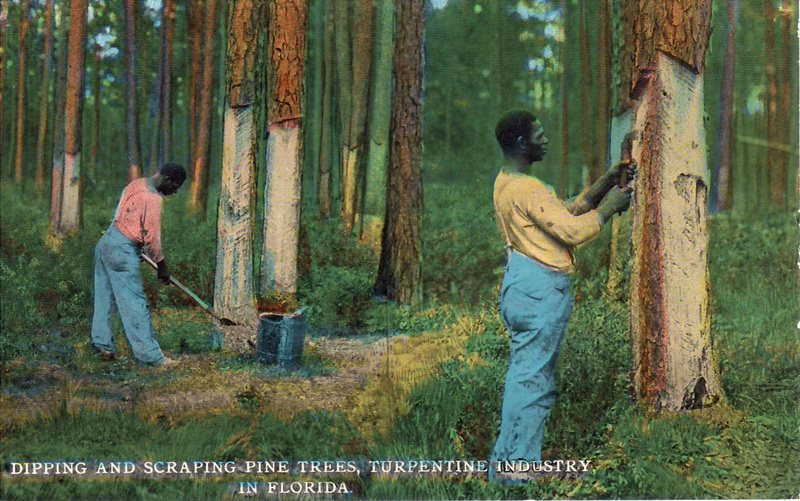 The resin of pine is combustible. The question would be how much resin/heat can you get from a pine tree and whether it is economically viable. There are ways to tap the trees in a sustainable manner. If you would like more information formation about this let me know. It may be more cost effective to make pellets of the wood for fuel. It is worth looking into. Thank for your response,i appreciate the information that you given me, i could like to find the fastest methods of tapping resin from pines and how there are carried out.And during tapping are there any chemicals that you can add to increase the rate at which the resin is secreted by pines trees.And at what age of the tree can you start tapping resin. is possible to extract some fuels that can be used for combustion in an engine from the resin from pinus kesiya pine tree.if possible how can we distillate or what are some of the other substance that you can add to the distillates from resin to make it more flammable for fuel use. I’m sorry George. I don’t have the expertise you need and don’t know of any chemicals that will boost the flammability of the essential oils in Pine. The amount of energy invested in harvesting and processing the sap may likely be much greater than the energy you get out of a fuel made with it. hi Dan i have 75 thousand year old kuari gum in new zealand and would love to try and distill it.it is in a solid state due to age but will still dissolve in meths to make varnish etc.as it is solid do you think it would work in a still to make essence.apparently the catholic church still buys it for there incense but i think they burn it. Hi Aaron. What a treasure! You can try hydro distilling the resin first. It may or may not yield any essential oil. You most effective extraction may be with a dry distillation. This is traditionally the method used by the Naval stores and producers of Pine rosin. I believe copper stills are used and the temperature is raised to over 300 degrees centigrade before the liquid is poured, filtered and used commercially. Meanwhile they collect the essential oils from the distillation and use them as solvents, Turpentine. I have read about the NZ Kuari gum, but have never experienced it. I think there is a market here in the West among our artisans for it. Let me know if you have any further questions I might be of help with. Also let me know if you are able or interested in sending a few kilos to Canada…..
Hi, thanks for all your posts, I’m so grateful for your blog! I have a jar of a bunch of different kinds of saps/resins. They’re not separated by tree type. Is it safe to distill them all together? Absolutely. Your distilled essential oil won’t smell like any one particular resin, but I’ll bet it will smell good!! Hi, thanks for all your posts, I’m really grateful for your blog! I have a jar of different kinds of saps/resins that I’ve collected from trees on recent hikes. They are not separated by tree species. Is it safe to distill them all together? 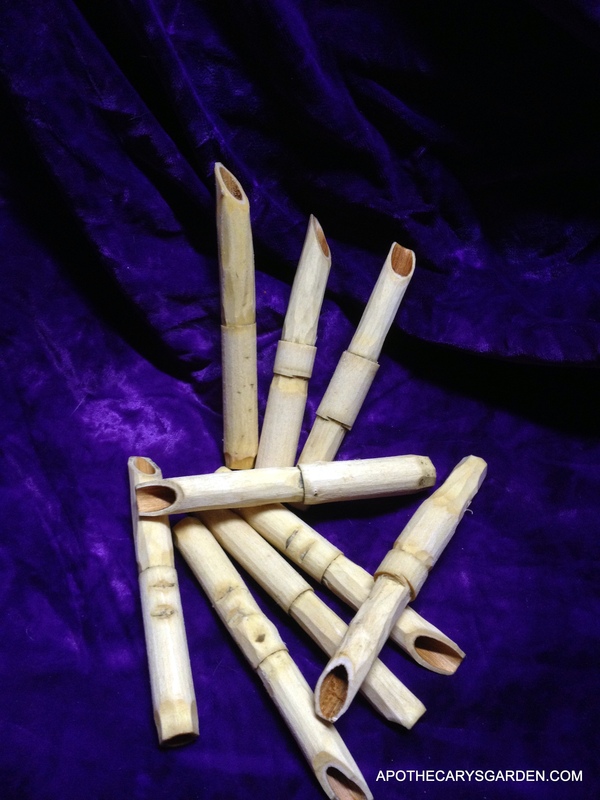 Hi, I would like to teach children a simplistic way to make their own medicine from cedar needles and branches. Will alcohol soaking make a therapeutic oil? Is there any other methods that are rather simplistic so I can give them a variety of ideas. Does these methods apply to all plant therapeutic-grade-essential-oil extractions? The oils needs to be medicinal. You are also welcome to refer me to someone. I would like to give as truthful info to these stunning children as possible. Thank you for your help, I love your gentleness. I have no good reason for taking so long to respond to your comment other than waiting till I had the words… I hope the information is still of use to you. Children can easily make an infused oil of conifer needles or sap. Oil will dissolve both the essential oils and the resins and they can, with simple means, create a healing and fragrant oil or salve. Alcohol does act as a solvent as well, but poses more dangers and complexities in execution for any purpose other than a tincture. An oil infusion seems ideal for children. Olive oil can be used as a base, though with plant material that has a delicate scent, there are oils that have less of a competing aroma and can let the scent of the plant material shine on its own. Processed Jojoba and fractionated Coconut oil are two mild and long lasting vegetable oils that come to mind. The children should grind the plant material with a little bit of oil in mortar and pestle, which children seem to have an affinity with. A jar can be filled 4/5 with a mix of 1 part well crushed herbs to 3 parts oil and set in the sun or a warm place for a few days before pressing through a cloth/pillowcase, or filtering through a sieve, and then sedimenting and separating any moisture from the bottom of the jar. This medicated oil can be thickened in a water bath with Beeswax and turned into a salve. Dave Chandler here again, still experimenting with balsam resins for violin varnish. I just got back from a “vacation” to northern Minnesota, where I found myself surrounded by balsam fir. I was able to collect a lot of fresh sap, but my question is this (maybe more than one question). 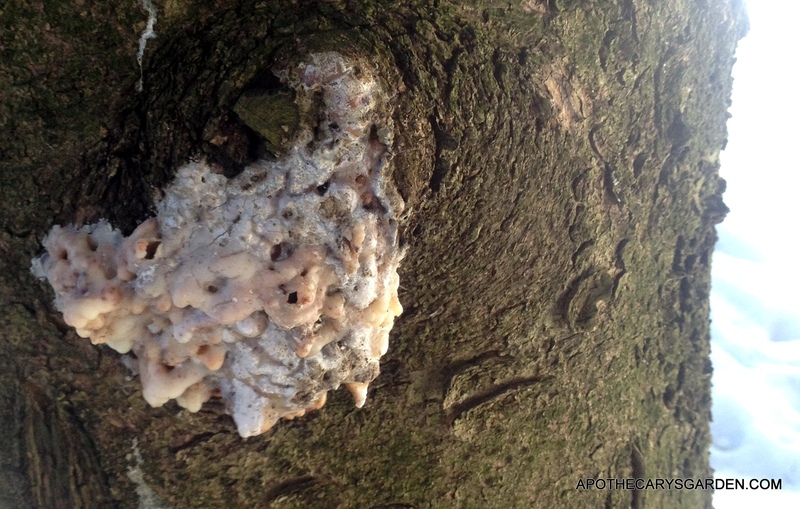 What happens to the tree after I’ve “popped” all its blisters and collected the sap? Is there any danger to the tree from infection etc where I’ve pierced the bark/blister? Also, is this the only way to collect balsam sap, blister by blister? I found on a good afternoon, I could collect 2 ounces, enough to varnish several violins. Next point, if balsam source colophony and pine colophony are the same, then it seems cheaper/easier to get the cheap stuff. I’ve been told that balsam has the highest purity/translucence/clarity of all and is used to secure microscope slides, grind telescope lenses, etc. So are they talking about the sap itself, or the resin/colophony? I would like to use my maple tree sap in my body scrub… any suggestions on how to make it last in my Scrub’s I make from home. Hi Brandy. I havent made scrubs myself, but, off the top of my head i would say.-Maple sap is entirely water soluble. To intensify the fragrance you could gently evaporate as much water as you can before it becomes too sticky. If you are using an exfoliant or scrub that is not water based and will not dissolve on contact with the sap, you should be fine. Mix in your Maple sap and let it all dry thoroughly before packaging in air-tight containers. If you are using salt or any other base that dissolves in water you might have to spray it on the salt, dry, spray on some more, dry, etc. Till you have a strength of fragrance that suits you. You could also experiment with essential oil of Fenugreek which has a fragrance remarkably reminiscent of Maple sap/syrup and is used in the food and beverage industry to create Maple flavoring. I suggest either distilling your own if you have a good supply of branches or sap, or simpler, purchase a couple of liters from any one of many reputable essential oil suppliers. The price per liter is quite reasonable. Hi Alia. Rosin usually refers to the resin portion of Pine, Spruce or Fir sap after the essential oils have been removed through distillation. These more volatile liquids act as solvents in the sap, keeping it soft and sticky. Once they are removed, the resin portion of these oleoresins becomes hard, brittle and translucent to varying degrees. Rosin is used to add friction to violin bows and the ropes of rodeo riders, in glues and some varnishes, and is an important component in the plastic and rubber industry among others. Hi Dan. I want to distil the rosin from balsam/fraser fir sap I’ve collected, for use in making violin varnish. Any thoughts on how this would be best accomplished? Thanks for visiting and sounds like an exciting project! Rosin, in essence, is the whole oleoresin of the Spruce, Pine or Fir tree minus its essential oils. These essential oils act as a solvent that makes the substance liquid and mobile. 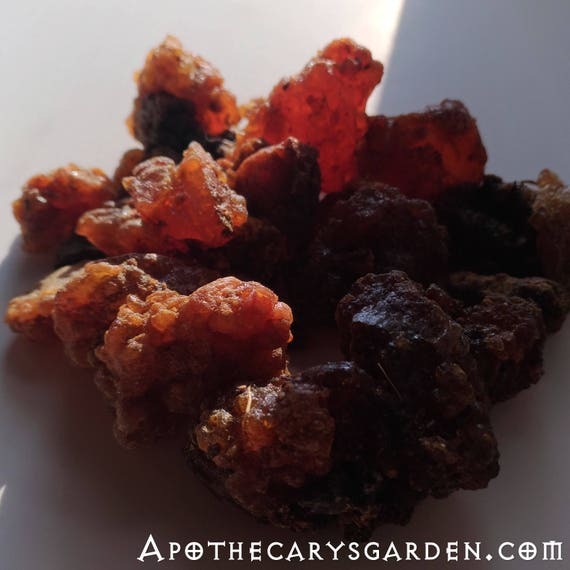 Once the essential or volatile oils are removed, we are left with a brittle mass, or rosin. So, if you have no need of the essential oils, you can simply “cook” your sap to evaporate them. Making a varnish, you would likely need a fairly clean product minus, bark, twigs dirt etc. There are a couple of ways of filtering your product. –You could put your raw collected sap in a large pot with a ratio of at least 1;5 of water, bring it to a boil, use a sieve to scoop out debris and separate it. a fine sieve will leave you with a cleaner product but may take longer. Starting with a coarse sieve with large holes, then working with a finer mesh might be efficient. As you boil your sap in the water the essential oils will evaporate. you can test the consistency of your rosin by taking some out with a spoon, dropping it on a room temperature surface to see if it is hard and lost its stickiness. Keep boiling the sap and testing it till the cool rosin has the consistency you need. When ready you can pour it into a separate bowl or pot. the rosin is usually slightly heavier than the water and should settle to the bottom where you can collect it when cooled. Another method for filtering it is to pass it through a cloth, sheet or pillowcase with the boiling water, after you have removed the large debris and before removing the finer particles. Using this method you can do your final cooking in the second part. Keep in mind there will be a lot of work cleaning your tools and vessels from the sap/rosin, so old or disposable pots are a good idea. Once you have your rosin, you will need a solvent to dissolve it for applying as a varnish. Linseed oil and turpentine come to mind. There are also materials that can be added to speed up drying, make your varnish more durable or flexible etc. I think there are recipes online. But let me know I have a couple of old recipe books kicking around somewhere and I could dig them up if needed. Since my initial contact, I’ve diluted my sap/twig/bark mix with alcohol, and was able to filter the “stuff” and cooked the alcohol off. But, after that I mixed it with some cheap hardware store linseed oil, cooked them down — Not too happy with the result. My plan is tomorrow to collect some fresh resin, and try your method. I should boil it in water till it loses stickiness? If I understand you right, all these unwanted aromatic oils should boil off at a temperature under that of boiling water. I had earlier presumed it had to be cooked much higher than that, but I don’t know, just presumed. My biggest problem is that violin makers are very secretive about their varnishes, and will send you off in the wrong direction on purpose. I’ve been trying to figure out what one fellow uses as a thinner for “volatile balsam varnish” — turpentine doesn’t do it, can’t figure what it is. One famous maker, on his death bed admitted to using Winsor-Newton Artists varnish off the shelf. How about that! David, the alcohol as a solvent before filtering is a great idea for your application. In the commercial processing of rosin and turpentine they do cook it directly and above 100 centigrade. I’m pretty sure most of the volatile will evaporate for you at the boiling point of water. Also I would be worried about putting the alcohol oleo resin mix directly on the heat since it is so flammable. I would try the water method first and if you are left with a rosin you think needs to be harder you could always cook it at that point without the water. If you try a small amount of linseed oil make sure it is the double boiled variety. It has dryers in it and a different effect when used or combined with other materials. Alcohol can also work as your final solvent and might be worth trying. Good luck and keep me posted if I can be of further help. Dan, thanks for your advise on distilling balsam sap for the rosin. I cooked it outdoors, and I’m working with a very small amount, about 1-2oz. I was able to use the clarified rosin (which was hard like rock candy) by reheating and mixing with alcohol (outside over hotplate), and then applying it directly to the wood as a sealer. Beautiful translucent coating, really brings out the beauty of the wood. Excellent​ David. Sounds very satisfying! thanks for sharing such a detailed piece on distillation, the process seemed quite intricate, can it be properly executed at home? You will find “Part 2” of that post here-http://apothecarysgarden.com/?s=how+to+build+a+kitchen+still. You will find instructions on building and using a pot still at home. Are you aware of any funding opportunities for sustainable earth crafting? My husband and I have recently leaped to make a turn on our life path to become closer to nature in all her wealth and beauty. In this leap, money, my profession, and the majority of our worldly ‘things’ were given away, literally. It was a sharp door closure that my husband and I know was the intention of the divine we call God. We currently live in the brutal northwest arctic and can’t help but see the beauty that surrounds us every day. We were once told God vacations here, but we know He actually lives here in Alaska! To the point, we started a business to sell some of the items I craft in our dry cabin with water we haul from glacier runoff. Life is awesome, but these winter months make income very difficult. We moved here in late August just prior to the freeze as well. We are taking our time now talking to locals about the nature and I can’t help but craft up our essential, every day toiletries & medicines with materials we brought. I am looking forward the the thaw and the long days and ability to transition these skills to sustainable and personally collected materials. Until then, I am seeking financial support until the day my husband and I can completely break away from the financial systems that bind and support the community with the same opportunity to enjoy a sustainable and harmoniously harvested bounty of pure nature. Any lead or suggestion for funding opportunities I will greatly appreciate. What a wonderful inspired adventure!!! I admire your vision and I’m sure that with it, many doors will open for you both. Regarding funding opportunities, I assume local governments would be your main resource. From local to national, there are likely programs that either offer grants or subsidies to craftspeople, artists and possibly homesteaders. Looks like you have decent Internet, so I suggest you focus your research on what might be available in your area. The Canadian and Ontario governments have programs that support the arts and also small startups and small businesses. I assume yours does as well. That being said, I am happy to help you look at what natural resources may be indigenous to your area and of value to others. If you could research the flora and perhaps the fauna of your neighborhood, you may find you can start creating an income for yourself online. This could mean wildcrafting and preserving local plant material for sale. It could also mean utilizing your local wild medicinals in useful products you could sell online. Everything takes time, but I believe there are opportunities waiting just for you if you look for them. I would be happy to talk further and perhaps have a look at what you find growing around you to see how best to generate a financial return for yourself. Please contact me at dnriegler@gmail.com, and we will continue this conversation. The viscosity of your Balsam Fir sap is affected by 2 variables. Temperature, it will soften as it warms and liquefy if heated, and the amount of essential oils it contains. The essential oils act as solvents. If you put it in a warm place or heat it gently, some of the essential oils will evaporate and it will stay solid and eventually even brittle at room temperature. There is no moisture in your Fir sap, just fragrant essential oils and equally fragrant resin. 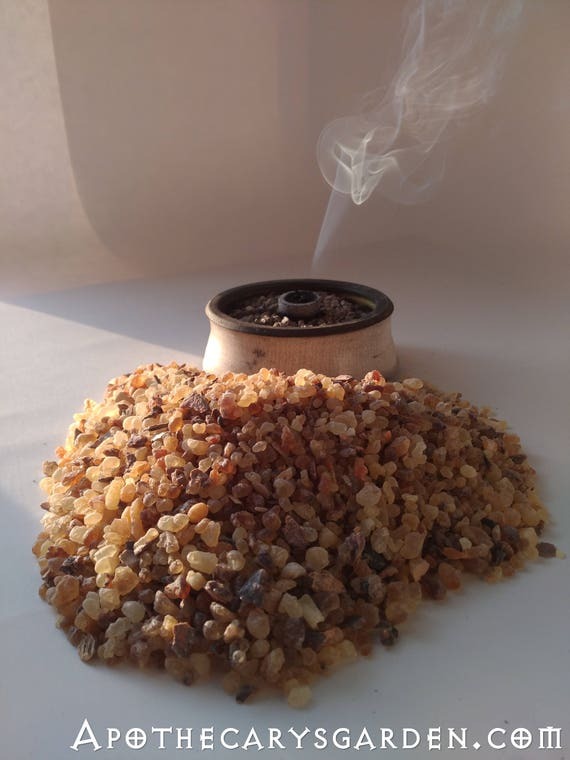 Even if all the essential oils are gone, it will still offer you a lovely incense material. If you plan to use it as a powder in your incense blend, I suggest you do all your blending and grinding outdoors in the cold. If your material is still not brittle enough for this, but sticks to your mortar or pestle, then bring it inside for a day or two close to, or above your Woodstove, and let some of the essential oils evaporate. (You will notice it slowly becomes more firm at indoor temperatures. When enough of the essential oils have evaporated, you should be able to grind it along with your other materials in a cold mortar outside. You can do this evaporation quickly if you want, and if you have enough sap, by putting it in a double boiler. It will turn liquid with the heat of the boiling water bath, the essential oils will evaporate quickly, and when it cools to room temperature it will be brittle as glass. (After 2-3 hours on the waterbath perhaps?) Liquifying it like this is also an opportunity to filter it through a pillowcase or cotton cloth if you wanted to do so. I hope this was of some help to you. Don’t hesitate to contact me if you have any further questions. Found your blog only minutes after distilling essential oil from a German spruce. Totally agree that we have to respect our fellow creatures, so I only took sap that had “naturally” appeared and only of the abundance of it. Unfortunately the resin is not easily to be removed from the still. I distilled with vapor and the resin is covering the plate as well as parts of the kettle, where it has dropped into it through the holes of the plate. Do you know another method of cleaning it other than putting it on a BBQ grill? 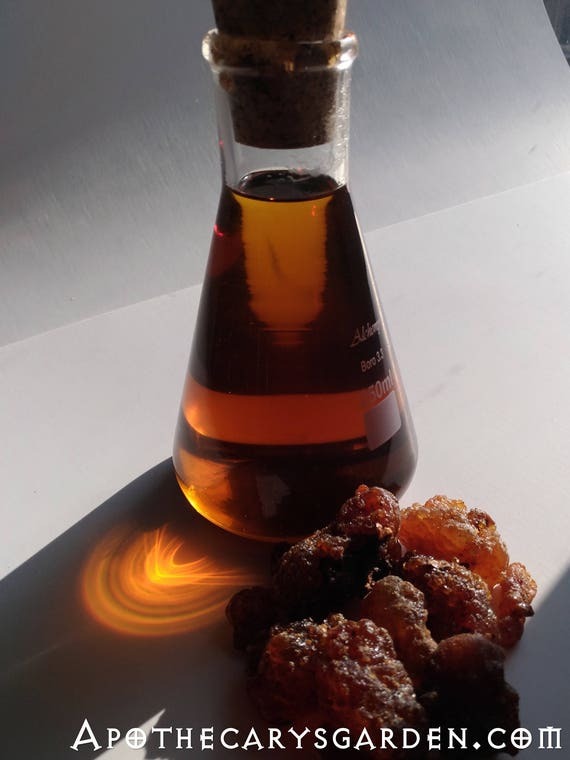 You can substitute Pine, Spruce or Fir sap for the Frankincense Frereana. With a copper still you could even try a “dry distillation”. A future ambition of mine. Let me know if I can be of further help in any way. But I will definitely try out putting the sap directly into the water. Thanks for the advice! Nor do I yet have a copper still or the guts to attempt a dry distillation. Soon I hope. Good luck with your next distillation! I would be happy to hear how it goes. Wow, Dan, your advice worked fantastically! I put the sap, which I pestled before, directly onto the water surface and this time I had more than 40 ml! First I couldn’t believe, how big a layer of oil was on the surface of the hydrolate. So thanks again, Dan! Found your site minutes after distilling spruce sap for the first time. I totally agree to your thoughts of respecting our fellow creatures. So I indeed only took from the surplus of the sap. One handfull of German spruce gave about 1 ml essential oil. Unfortunately the resin is not easily to removed. I guess I have to put my still on BBQ grill. It’s made of copper, so it should stand the procedure. How do you clean the still from resin? The spent resin needs to be poured out while it is hot, and it is best done as soon as distillation is done. The essential oils act as solvents, so when they are gone the rosin cools much harder than when it went in to the still.. This is the easiest method. Lucky you with a copper still! Yes you can definitely heat it up on the barbecue. If you do it gently, you can pour it, filter it and create a high quality Rosin for yourself. Any residue can be cleaned up with paint thinner, turpentine, varsol or olive oil then washed with warm soapy water and rinsed.. Thank you, Dan! That’s useful advice. I will try that. Hi Michael. Thanks for visiting..
With some fine tuning you should be able to get a higher yield of essential oil from your sap. The ideal way to clean your still is to pour out the residue as soon as you finish distilling and while it is hot. As you know, the essential oils act as a solvent to the resin and once they depart it turns into a hard mass at room temperature. You can definitely heat your still on the barbecue. If you do it gently without burning any on to the metal you should be able to pour it out, or scoop it out. If you distill a larger quantity and filter the residue you should have a very nice rosin for other applications. If you need to clean it further, varsol, paint thinner, turpentine or olive oil should do the trick. Finish with hot water and dish soap before rinsing. Wow! I am so excited to find you. I can’t wait to read on…… and more!!!! Your words are resonating deeply with in me. I have known and felt and heard from the natural world but get confused about my place and role within it. I am connected. I just need to put all the rest aside and listen to the plants, they know. Thanks for being this amazing resource for me now, setting the tone that will keep sounding. Thank you for your kind words Kelli. I like to think we are not only a part of nature, but her stewards as well. It’s a role and place I find gives me great satisfaction and meaningful relationships with the plant world.